E tū is issuing a plea for people to stop making false complaints about power outages, as lines crews work around the clock to reconnect Aucklanders after last week’s massive storm. The common feedback from our members is that this is the most extensive damage they have seen resulting from large trees being ripped out of the ground and over the lines. The power remains out in parts of West Auckland, with isolated outages in some suburbs. E tū Industry Coordinator, Joe Gallagher says Vector and their contractors, Northpower and Electrix have brought in significant extra staff from outside of the Auckland region and crews are working long hours to get the power back on. “We’d congratulate our many members working on this. They’ve been working basically non- stop since last Tuesday,” says Joe. Joe says the public is largely supportive of the crews and while most call-outs are genuine, some are not and that has put pressure on everyone working to reconnect Aucklanders. “Some people ring up, saying, “Our power’s out,” only to find that the main switch was left off at the meter board as a safety precaution by private electricians. So, the crews turn up, and there’s no problem. But every time that happens, they can’t respond to someone else who needs their help. “I would appeal to these people – do some basic checks first. You wouldn’t call an ambulance if it’s not an emergency, so consider if you really need help,” says Joe. Joe says the safety of the crews on the ground is absolutely paramount for all concerned. E tū says former Cadbury workers are hugely looking forward to this Saturday’s Highlanders vs Brumbies game, which they will be able to attend for free. E tū Industry Coordinator, Phil Knight approached the Highlanders about making tickets available for a home game, as a fillip for redundant workers following the Cadbury closure. The franchise agreed and has allocated 360 free double passes to the game. “We thought the Highlanders are iconic to Dunedin in a similar way to which Cadbury has been, and that perhaps the team would be interested in marking the fact that those people are now without a job,” says Phil. He says he was “stoked” when the team said yes, with workers emailing the union to say how pleased they are. “It’s absolutely a shot in the arm for them. It just shows the recognition among the Dunedin population about what a great loss to Dunedin those jobs are,” says Phil. 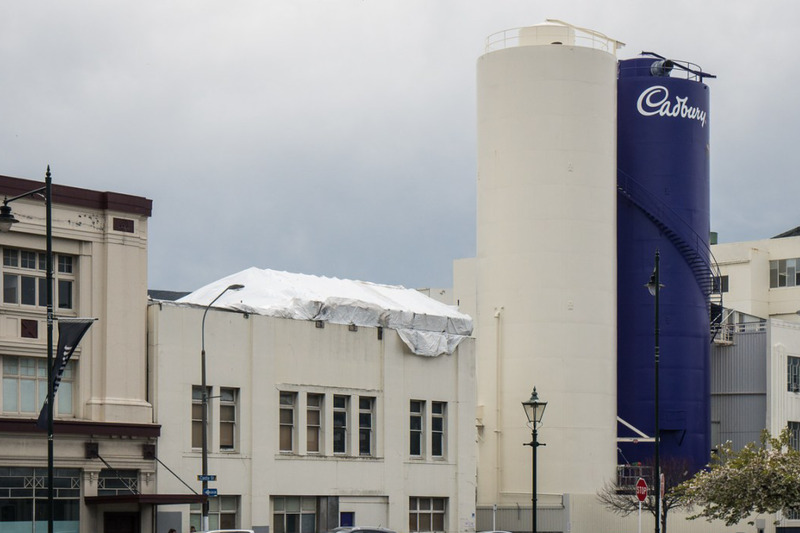 The Highlanders Chief Executive, Roger Clark says, “The Highlanders, DVML and Ticket Direct know that Cadbury employees have experienced the stress of redundancy recently. “We all enjoy a tremendous amount of support from our community and this is a small way in which we can repay that support,” says Mr Clark. The tickets are all in the south stand and redundant workers can collect their tickets from the south stand box office this Friday or Saturday. Eligible workers will need to bring photo I.D to secure their tickets. Phil Knight E tū Industry Coordinator, Food ph.027 591 0053. E tū union welcomes today’s announcement of the new Living Wage rate and says there is still more work to do. The 2018 New Zealand Living Wage rate is $20.55 an hour – 35 cents more than the 2017 rate and the smallest annual Living Wage increase since it was first launched in 2013. 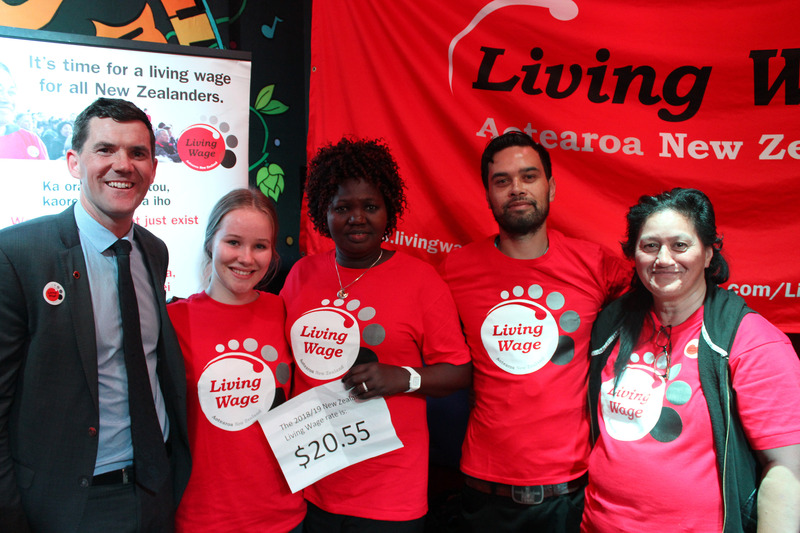 The new rate was announced today by Wellington Mayor, Justin Lester at a gathering of Living Wage Employers, faith and community groups, and unions at Wellington bar and Living Wage Employer, The Rogue and Vagabond. Local and national politicians also attended. Today’s announcement is good news for the communities of people that work for the more than 90 New Zealand companies which are accredited Living Wage Employers such as Vector, and those that work for the companies contracted to them. It’s also good news for places like Wellington City where the council is moving towards the Living Wage for all directly employed and contracted workers, says Campaign Lead, Mat Danaher. “The Living Wage is like a snowball,” says Mat. “We are seeing more and more employers prepared to talk about it as a base rate. There’s a growing sense that employers know they should pay their workers enough to live on,” he says. The new Living Wage rate is over $4 an hour above the minimum wage, and around a third of workers earn less than this. Tassie works for a security contractor to the Ministry of Justice. “I am earning the Living Wage thanks to the union negotiating on my behalf last year,” says Tassie. “Progress is clearly being made,” says Mat. “The Government has made a commitment to paying the Living Wage to all directly employed and contracted workers in the core government, including cleaners, catering workers, and security guards, which E tū will be holding them to,” he says. “New Zealand is taking the first few steps away from being a low waged economy with the Government’s recognition of the importance of higher wages to boosting the economy as a whole.